Bentley posted 22 points (8-14 FG, 2-3 3Pt, 4-6 FT), two assists, one rebound and one steal in the 78-75 playoff win over the Mystics on Tuesday. For the second straight game, Bentley was the leading scorer for the Dream as she dropped 22 points on 57.1 percent shooting while making two-of-three at the three-point line. The former Penn State product is so far averaging 20.5 points and 2.0 rebounds this postseason. Bentley recorded 19 points (7-15 FG, 3-5 3Pt, 2-2 FT), three rebounds and two assists during the Dream's 87-84 playoff loss against the Mystics on Sunday. Bentley was the leading scorer for the Dream in the playoff loss Sunday by dropping 19 points on 46.7 percent shooting while knocking down three three-point shots. In the regular season, the 27-year-old averaged 8.4 points and 2.9 assists over 31 appearances. 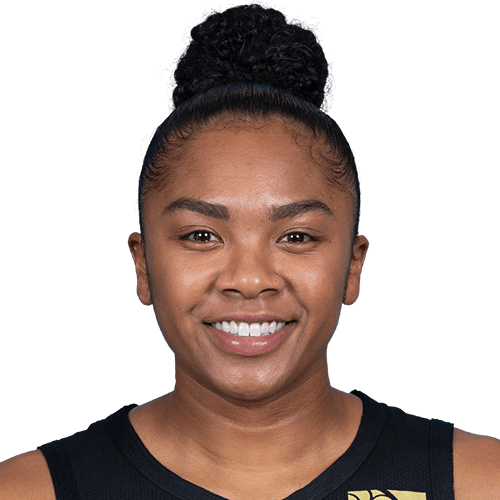 Bentley accrued 24 points (8-14 FG, 6-8 3Pt, 2-4 FT), six assists, three rebounds and a steal in 29 minutes during Friday's 104-95 loss to the Mercury. Bentley's 24 points marked a season high, though it wasn't enough to secure a victory. The performance got her out of a cold stretch, as she had totaled five points over the previous two contests. On the year, she's averaging 8.4 points on 38.0 percent shooting, the percentage marking a career low. Bentley exploded for 22 points (10-17 FG, 2-5 3Pt) and added eight assists, two rebounds and two steals across 28 minutes in the Dream's 109-100 win over Las Vegas on Tuesday. Bentley was one of four Dream players to reach the 20-point mark as Atlanta established a new franchise scoring record in the victory. Though Atlanta continues to bring her off the bench, Bentley's usage seems to be on the rise of late. She has received at least 20 minutes in the past three contests, hitting double figures in the scoring column each time while totaling 17 assists. Bentley totaled 11 points (5-11 FG, 1-3 3Pt, 0-4 FT), seven assists, two rebounds and one steal during the Dream's 89-74 home win over the Sky on Friday. Bentley played alright during the win Friday, dishing out a team-high seven assists but shooting just 45.5 percent from the field and missing all four of her free-throw attempts. Over 31 appearances this year, the 27-year-old is adding 8.4 points and 2.9 assists per game. Bentley finished with nine points (4-10 FG, 1-2 3Pt) during the Dream's 87-74 win over the Storm on Sunday. Bentley had a modest outing during the win Sunday, recording nine points on 40.0 percent from the field while knocking down one three-pointer. In six outings since being traded to the Dream, the 27-year-old is averaging just 4.5 points per game which is almost four points less than her total season's average. Bentley was traded from the Sun to the Dream on Monday in exchange for Layshia Clarendon and a 2019 second-round pick, Doug Feinberg of the Associated Press reports. According to Pat Ralph and Aryeh Schwartz of WNBAInsidr.com, Bentley and former teammate Courtney Williams had recently gotten into a physical altercation, which resulted in Williams taking a personal leave. While specifics haven't been released, it appears to have prompted the Sun to move one of those two players to avoid further complications, now sending Bentley to the Dream. Bentley has played in 19 games so far this season and has averaged 10.0 points, 1.4 rebounds, 3.2 assists and 1.3 steals across 21.7 minutes. Bentley registered 15 points (6-12 FG, 1-4 3Pt, 2-4 FT), four assists, three rebounds and two steals in the 84-70 loss at Seattle on Sunday. Off the bench, Bentley was the Sun's leading scorer with 15 points across 12 field-goal attempts. It's still surprising that the former Penn State standout hasn't started a game yet this season while being fourth on the team with 10.0 points per outing. Bentley produced 13 points (6-10 FG, 1-2 3Pt), six assists and three rebounds in Tuesday's 92-80 loss to the Mystics. It was the second straight outing of six assists for the 28-year-old and this time, managed to reach double figures with 13 total points. Currently across 14 contests, Bentley is contributing 9.7 points, 2.9 assists and 1.4 steals per game. Bentley mustered 12 points (5-15 FG, 2-10 3Pt), five assists, one rebound and one steal during the Sun's 82-77 loss to the Dream on Tuesday. The 5-7 Bentley struggled mightily from behind the three-point line Tuesday by managing to convert only two-of-10 from deep. However, the Penn State product still reached double figures while tying a season high with five assists. So far, the 28-year-old is averaging 13.8 points. 2.8 assists and 1.3 rebounds through six games played.